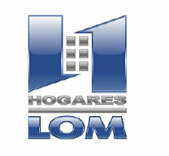 INMOBILIARIA LOM, S.A. DE C.V., domiciled at Avenida Universidad, number 602 interior 9, Colonia Unidad Ganadera, Aguascalientes, Ags., Is responsible for collecting your personal data, the use, that is given to them and their protection. -Data personal identification: Full name, date of birth, address, CURP, RFC, landline and cell phone, email, address of the property subject to the guarantee. - Work data: workplace, position, payroll number, integrated daily salary, payroll receipts. -Financial data: credit number, type of credit, key of the interbank account, bank account number, name of the Bank. - Sensitive personal data: birth certificate, marital status, marriage regime, conjugal partnership or separation of property, name of the spouse, name of the father or mother, social security number, form of payment Infonavit, formal acceptance letter of the conditions financial statements proposed by Infonavit. We inform you that the treatment of the aforementioned personal data has the purpose that THE COMPANY complies with the obligations derived from the legal relationship we have with you. The personal data that we collect about you, are necessary to verify and confirm your identity, to comply with the obligations derived from the legal relationship that the owner of the data maintains with THE COMPANY, perform the corresponding investigation for customer credit requests, and, where appropriate, to administer and operate the human resources processes within the company, for the internal control of personal knowledge and skills, to comply with the provisions established by the laws governing labor relations, as well as the laws and regulations of the relative institutions, such as the Mexican Institute of Social Security (IMSS), the National Workers 'Housing Fund Institute (INFONAVIT), the National Workers' Compensation Fund Institute (FONACOT), and the of Tax Administration (SAT); as well as, in appropriate cases, to register your data in the Computer System Unique Self-Determination (SUA) program. By providing the owner your personal information to THE COMPANY acknowledges and accepts this notice. THE COMPANY to fulfill the purposes described above or those required by law or by competent authority, will only transfer the necessary data in the cases legally provided for; in addition to third parties that, due to the administration of human resources, social security and benefits granted by the company, such transfer is necessary. We inform you that such transfer does not require your consent according to the applicable regulations. IV.- Means and procedures to exercise any of the rights of ARCO, as well as to revoke their consent, for the processing of their personal data. At any time, you may exercise any of the rights of access rectification, cancellation or opposition in the subsequent rights of ARCO and revoke your consent for the processing of personal data in order to stop using them; For this it is necessary to submit your request in writing at the facilities of THE COMPANY located at Avenida Universidad, number 602 interior 9, Colonia Unidad Ganadera, Aguascalientes, Ags., your request must include your full name, home address, or where appropriate address to hear and receive notifications, and email, as well as the request requesting access, rectification, cancellation, revocation or opposition of personal data. In case of requesting rectification, the owner must indicate the modifications to be made, and must provide the documentation issued by an authority, which supports his request. In the event that the information provided is erroneous, insufficient, or does not accompany the corresponding accreditation documents, you will be required to provide the elements or documents necessary to process your request within the following 10 business days. , if no response is received, the corresponding request will be deemed not submitted. The adopted decision will be notified to you within a period of 20 working days from the day after the request was received, and if you have been asked for additional information, your request will be resolved within 20 business days. to the date on which you submitted the supplementary information. In the event that it is appropriate, your request will be made effective within 15 days of the notification. We reserve the right to make changes or updates to this privacy notice at any time, for the attention of legislative reforms or jurisprudential criteria, internal policies or new requirements for the presentation or offering of our services. However, the changes will be announced through notices posted at various points in the place where THE COMPANY is located. VI.- Who can file a complaint?